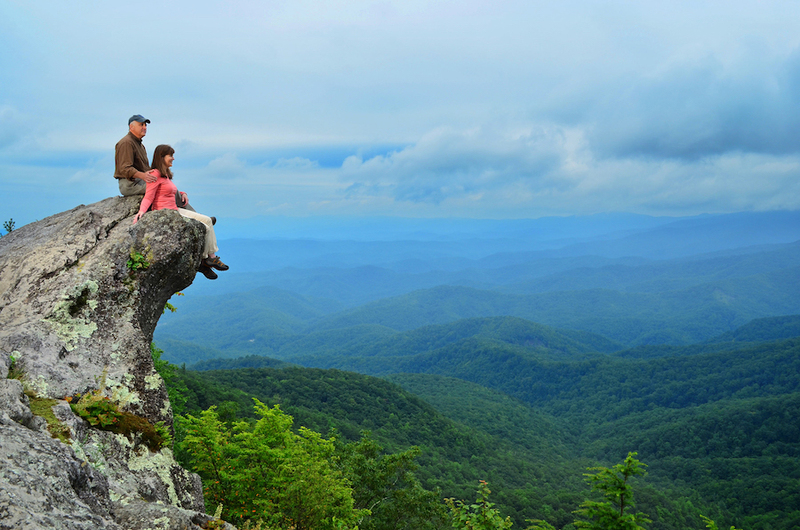 At 3,556 feet, Blowing Rock is another cool mountain destination in the Blue Ridge Mountains. The town’s name originates from the area’s major attraction, historic Blowing Rock, which is situated on a cliff 4,090 feet above sea level overlooking Johns River Gorge 3,000 feet below. The wind is known to sweep through this rocky gorge with such power that light objects dropped from the cliff will be returned from their plummet above. 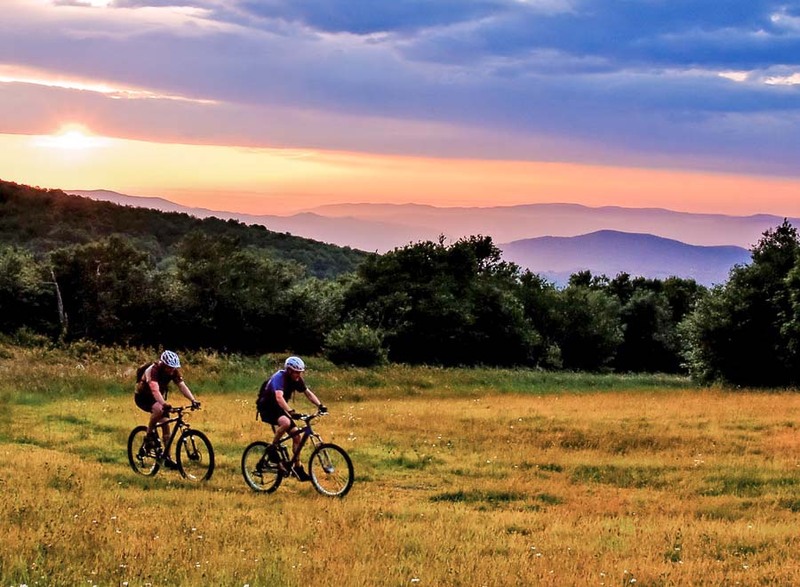 A family-friendly town, Blowing Rock is popular among hikers and cycling enthusiasts, with the entrance to the 469-mile long Blue Ridge Parkway located just a few miles away. Moses Cone Memorial Park and its 13,000 square-foot Colonial Revival style Flat Top Manor, a historic home built in 1901 by a wealthy entrepreneur Moses Cones, is one of the most famous landmarks in the area. 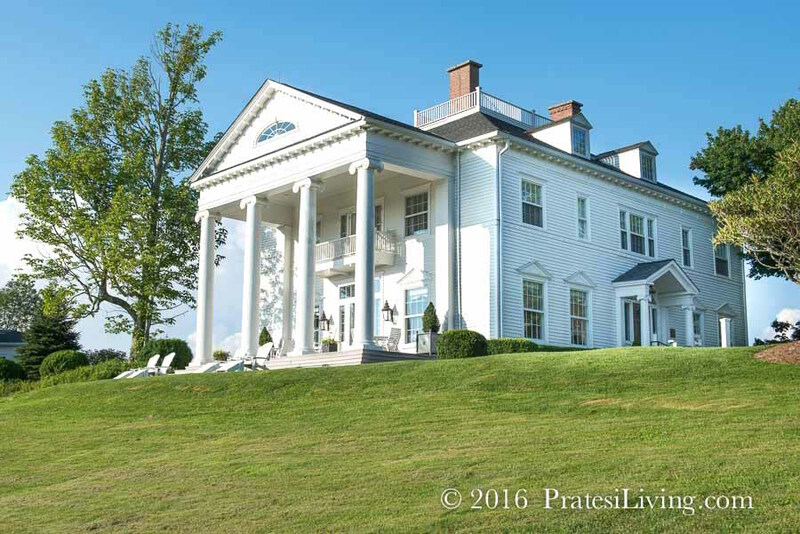 There are 25 miles of carriage and hiking trails meandering through the fields and forests of this 3,500-acre estate, perfect for horseback riding or a horse drawn carriage ride, just as the Cone family would have enjoyed in the early 1900s. 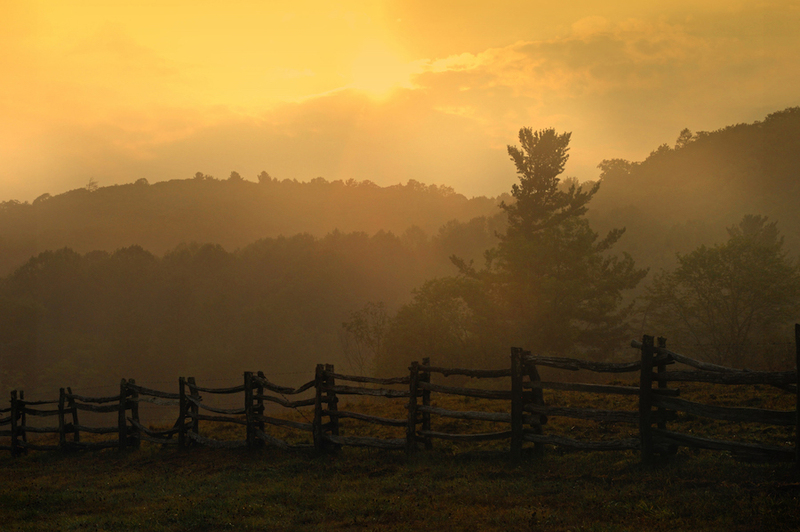 Another favorite attraction is the nearby Grandfather Mountain, the highest peak in the Blue Ridge Mountain range. The storybook setting of Blowing Rock has several quaint B&Bs and inns, including Boxwood Lodge on Main Street. And for a larger hotel option, Meadowbrook Inn & Suites is just a block away. 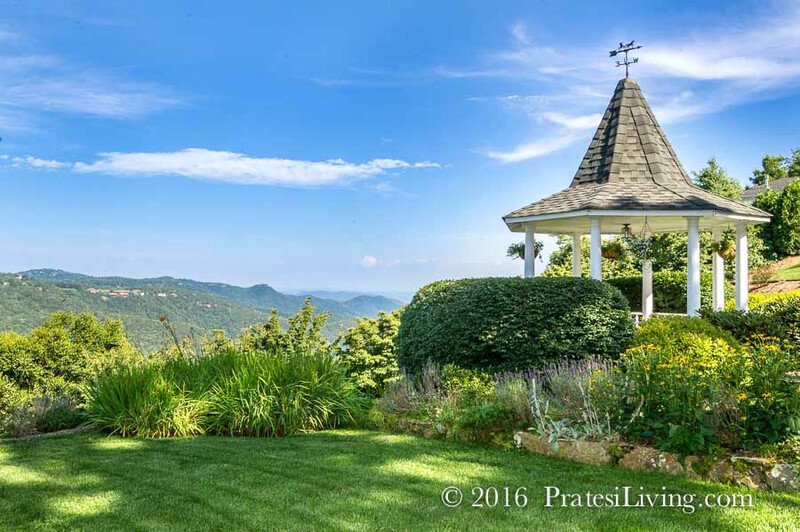 Meanwhile, Chetola Resort at Blowing Rock is an upscale 87-acre property within walking distance of the town that features inn and lodge rooms, condominiums, a spa and many on-site activities. For a more secluded getaway, book a stay at Westglow Resort and Spa, an award-winning Relais & Châteaux property. This Greek Revival mansion and former home of renowned artist and author Elliott Daingerfield offers several different types of accommodations, but for a stay to remember reserve one of its elegantly appointed six guest bedrooms in the mansion for a romantic retreat for two. 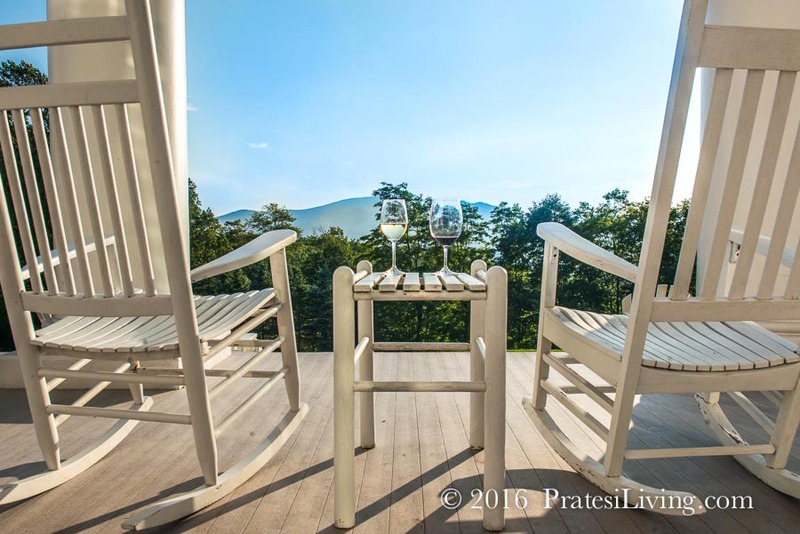 Westglow also features an impressive spa, outstanding gastronomy at Rowland’s Restaurant and stunning sunset views over the Blue Ridge Mountains from its rocking chairs on the westward-facing porch. 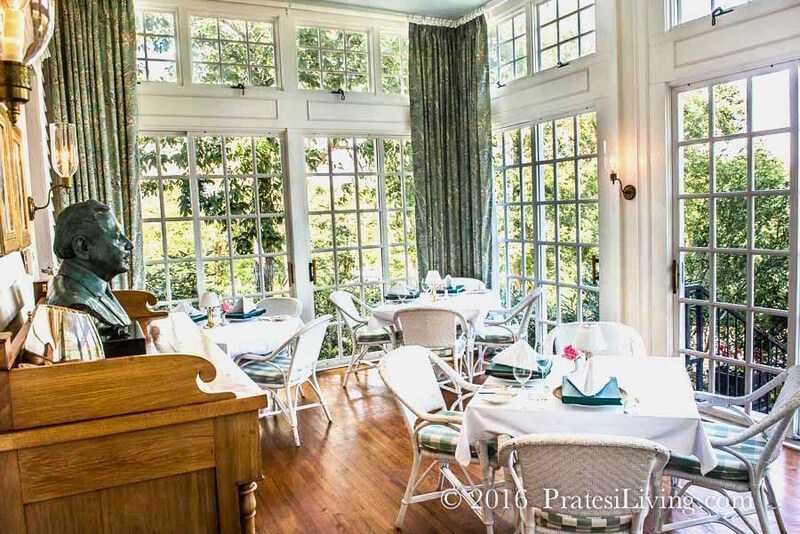 When it comes to culinary options, local favorites for fine dining are Gideon Ridge Inn and Gamekeeper Restaurant in nearby Boone, North Carolina. More casual options include Bistro Roca and the New Public House. At 5,506 feet, Beech Mountain tops the list as the coolest town in North Carolina and the highest resort area in eastern North America. 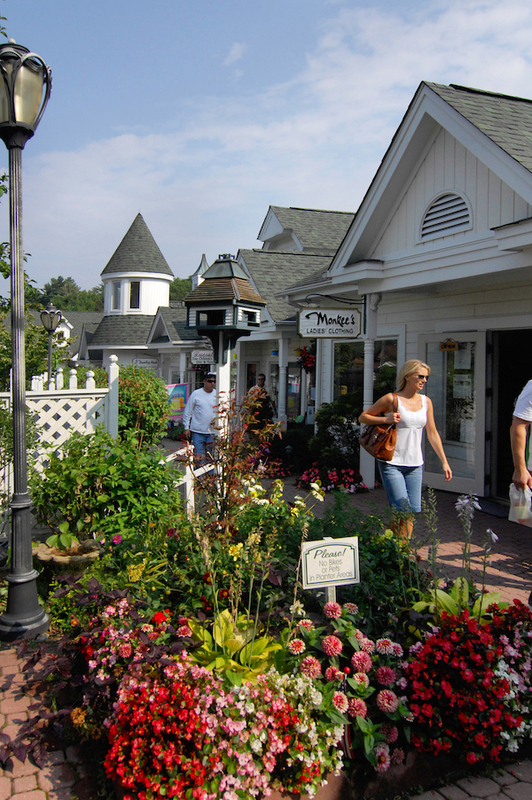 While it is a popular destination in the summertime, the town is small and doesn’t offer the breadth of things to see as in Highlands and Blowing Rock. Still, its elevation beats the heat. Beech Mountain especially comes alive in the winter when it transforms into a ski resort with approximately 90 inches of fresh snowfall each year. 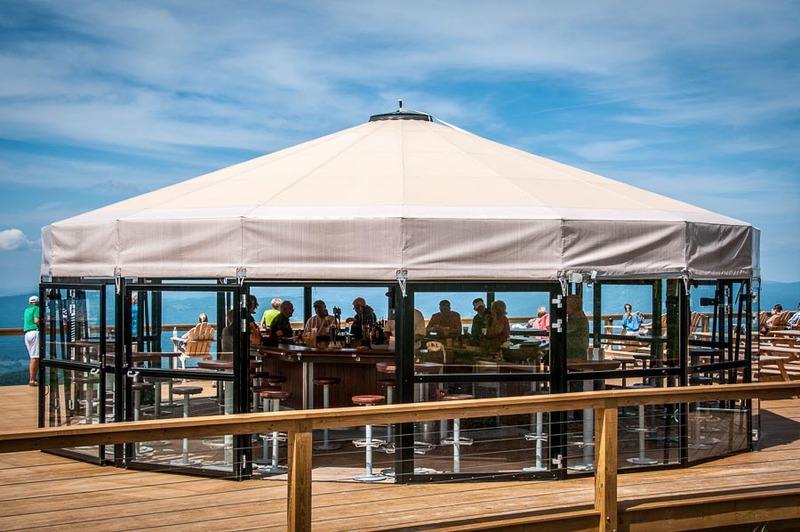 If you make it to the top in any season, be sure to have a drink or bite to eat at the signature 5506′ Skybar, which offers panoramic views of the Blue Ridge Mountains from its unique glass roundhouse building. 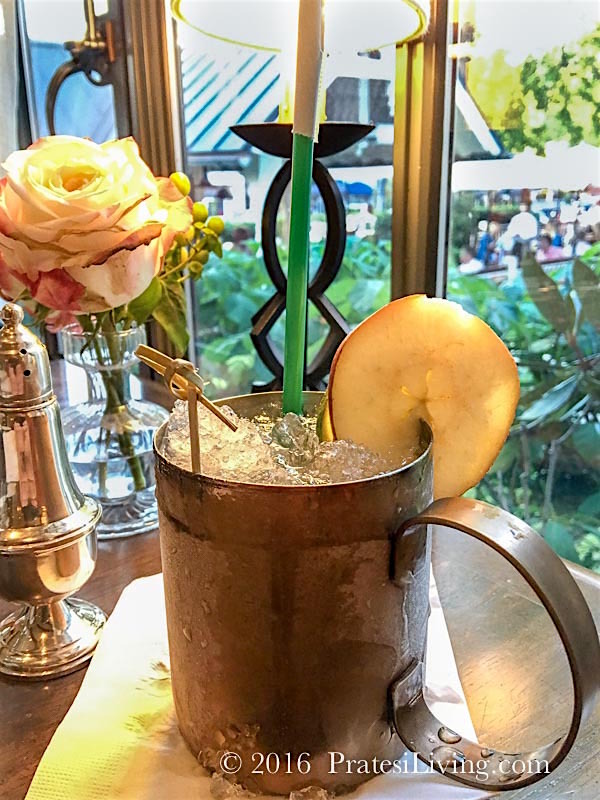 Hot days call for cool drinks and this Tête de Mule, a signature cocktail featured at Old Edwards Inn & Spa, will surely capture your fancy. Similar to a Moscow Mule and served in a copper cup, this tasty drink is guaranteed to become a favorite. There are a lot of steps, but for those willing to take it on you will surely be rewarded. It’s that good. Serious craft cocktail aficiondos will love the challenge and everyone will appreciate the humor in the recipe (unedited from the bar). You can make a few substitutions that will do in a pinch, such as preparing a quick simple syrup with lime zest or add fresh squeezed lime juice for the lime syrup and use a good purchased ginger beer, like Fever Tree, in place of the homemade version. While it won’t be quite as good, it will certainly cool you down during the last dog days of summer. This recipe is the actual one used at Old Edwards Inn & Spa and includes several housemade syrups and infused beverages. It is time consuming, so improvise, if you like and use things you can purchase, such as ginger beer. You can also infuse homemade simple syrup with lime zest or add fresh juice and simply the methods here. The end result will be worth the effort, even if you do a simpler version of the drink. Crush two large scoops of ice. Fill copper mug or collins glass 1/2 full with crushed ice. Build ingredients in shaker 3/4 full of ice. Pour entire mixture, including broken ice, into copper mug or collins glass. Garnish with preserved pear and lime wheel on a pick. Lay sugar in pan, measure it. Zest approximately 1 lime/cup of sugar across surface of sugar. Let stand a minimum of 1 hr. During this time, juice limes. Fine strain and measure the lime juice. MATH TIME! Subtract the amount of sugar in the pan from the amount of lime juice you’ve got… The resulting number is how much hot water you will need to add. Now, get that hot water I was telling you about and whisk in the lime juice… keep whisking until you’ve done what you can to dissolve some of the sugar and mixed the lime zest and juice evenly through the mixture. Get yourself a cup of coffee and reflect on all the work you’ve done… you’ve earned it. Whisk in the now warm (NO LONGER HOT) water until all sugar is dissolved. Strain out the zest. Label and store in juice cooler on LL1 (or your refrigerator). Take a minimum of 2lbs fresh ginger. Measure water into a pan. Peel ginger using a spoon to navigate the odd terrain of the root. As you peel, throw “naked” ginger into pan full of water to keep it from oxidizing. Once ginger is all peeled, rough chop (approx. 1-2” chunks). Lay soaked, chopped ginger on a flat sheet tray. Cover lightly with raw sugar. Bake at 300+degrees F for at least 10 min, less than 30min… the objective is to get the carbohydrate-laden fluids inside the ginger to begin to bubble out and marry with the layer of raw sugar that coats it. The water that it’s soaked in helps act as a vehicle for the heat and helps transport the more viscous fluid to the surface of the piece. We are basically converting the carbs to sugars, and ensuring that there’s more usable juice to yield in later steps. Pull the pieces out of the oven and let them rest. While they rest, pour your ginger water through a filter to remove the little wisps of peel… they will impart a papery/cardboard-like flavor. Place this water in a pan and bring to a boil… I suggest using roughly ½ cup per pound of ginger. Add ½ the volume of water in raw sugar… this means, if you are boiling 1 cup of water, add a half cup of raw sugar. Whisk until dissolved. Add the cooked ginger pieces. There should be enough water to just cover them. Bring down to a simmer for 5 minutes. Pull the entire mixture off and allow to cool. Either run through a juicer, liquid and all, or pour into a high powered blender and puree the Hell out of it. Push the results through a sieve… reserve the pulp for use in desserts, it should retain a good bit of flavor. Whisk mixture until smooth. Add water/sugar/citrus to optimize taste. Pour contents into soda siphon. Charge soda siphon with CO2. Pour 6 oz pear liqueur into a cambro. Squeeze ten lemons through a fine strainer. Add 1 qt Sweet Lime. Add 1 cup elderflower syrup. Slice pears VERY MUCHO thin. Drop pear slices into mix. Add handful of torn sage leaves. Allow to rest and infuse for 24 hrs. Hold cold indefinitely – Oxygen and temperature change will cause these to spoil within hours, so portion them carefully. This content is protected under International Copyright Laws. 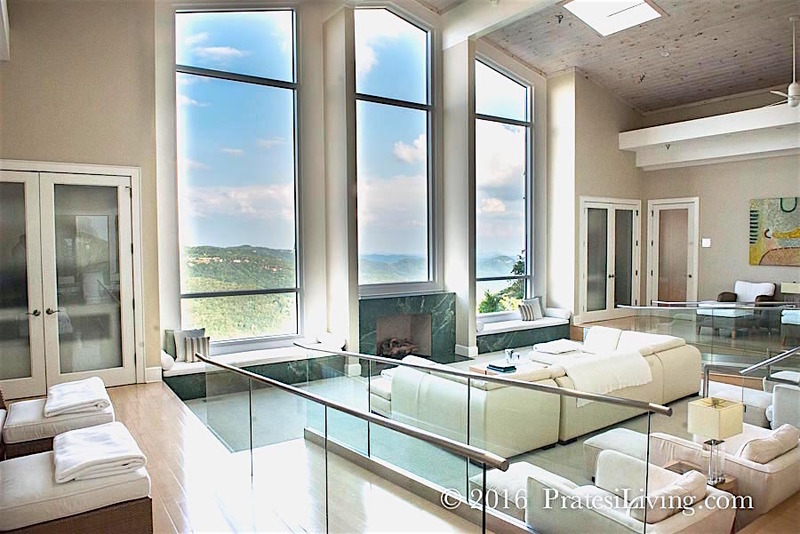 Pratesi Living provides this content to its readers for their personal use. No part (text or images) may be copied or reproduced, in whole or in part, without the express written permission of PratesiLiving.com. All rights reserved. Stunning photos. I hope to get there someday. It’s truly beautiful (like your photos, Roger).